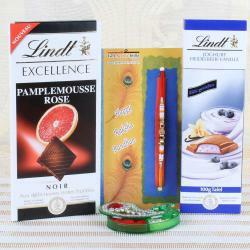 Product Consist: Lindt Excellence Noisette Du Piemont Chocolate (Weight: 100 gms), Lindt Excellence Amandes Effilees Chocolate (Weight: 100 gms), Lindt Amarena-Kirsch Chocolate (Weight: 100 gms), Zardosi Rakhi along with Roli Chawal Container. Raksha Bandhan is one of the most precious festivals which are celebrated by sisters and brothers with full love and caring. Share your love and care about the world strongest bond on this sibling's day. 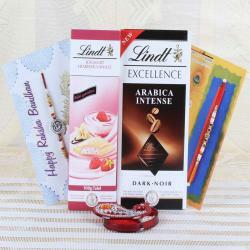 The Raksha Bandhan festival is one of the more memorable days for your siblings to present Chocolate hamper. 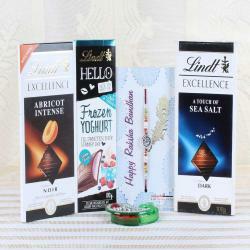 Choose the best rakhi and chocolates for your dearest brother and share your never ending love on him on that special day. 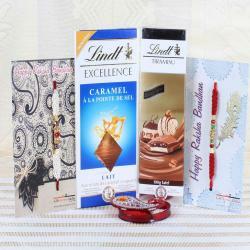 If you are working in the Australia away from your family, then you have to don't worry, quickly send online Rakhi to India without any problem. 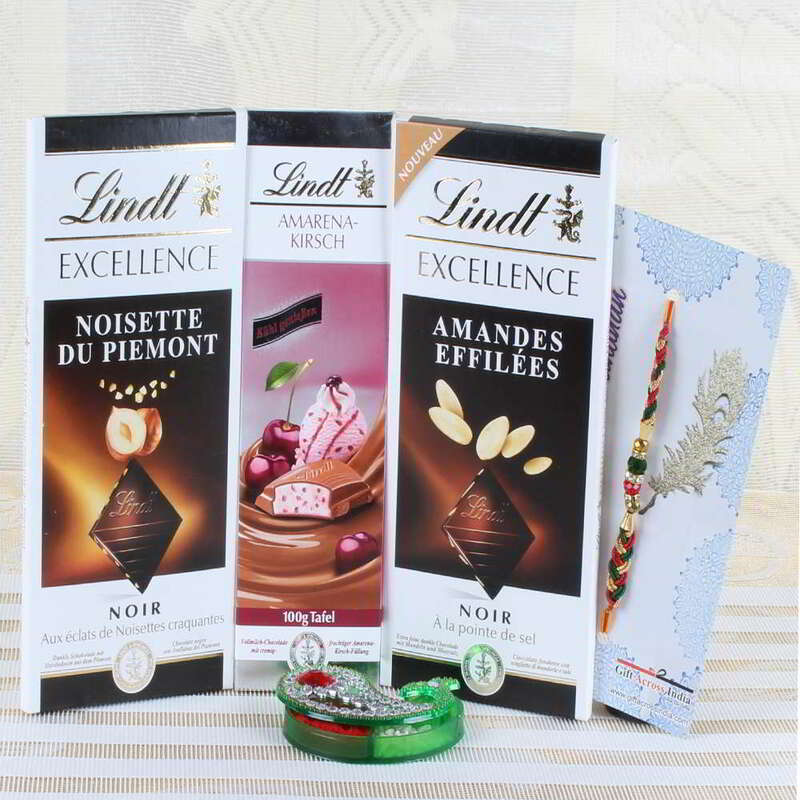 Product Consists of: Lindt Excellence Noisette Du Piemont Chocolate (Weight: 100 gms), Lindt Excellence Amandes Effilees Chocolate (Weight: 100 gms), Lindt Amarena-Kirsch Chocolate (Weight: 100 gms), Zardosi Rakhi along with Roli Chawal Container.